Bryn Terfel has pulled out of the Met Opera's production of Tosca, to take "enforced rest due to vocal fatigue". His departure means the ill-fated production, which is due to open in two weeks, has lost its entire main cast. First to go was star tenor Jonas Kaufmann, followed by soprano Kristine Opolais, who had the title role. Her husband, conductor Andris Nelsons, was next to go. His replacement, James Levine, was then suspended following allegations of sexual misconduct. Three men have now accused Mr Levine of abusing them decades ago when they were teenagers. Levine has said sexual misconduct allegations against him are "unfounded". The Met Opera, which is based in New York, says its production of Tosca will go ahead with Emmanuel Villaume leading the orchestra. 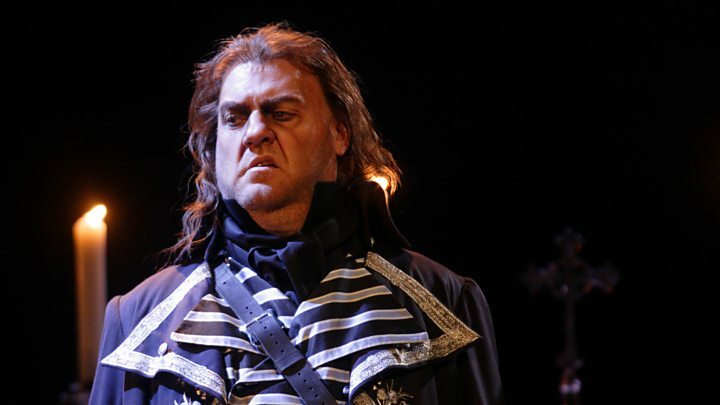 Terfel, who had been scheduled to play the villainous Scarpia, will be replaced by Zeljko Lucic, who previously played the role at the Met in 2015. 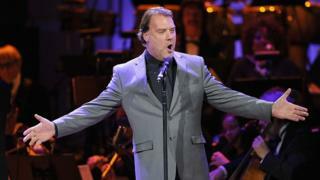 "I am extremely disappointed to have to cancel these performances," said Terfel in a statement. "I was particularly happy to be returning to the Metropolitan Opera with this exciting new staging, and it is a terrible shame not to be a part of it." The Welsh baritone has also withdrawn from concerts with the Boston Symphony Orchestra in February.